The beverage industry is highly competitive so marketing gifts are highly important way of withstanding market strength. 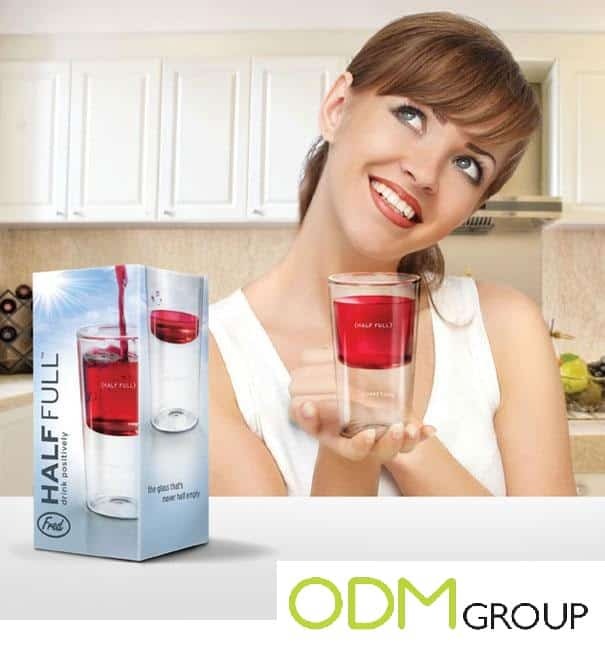 Simple and effective marketing gifts may include a beverage glass, whether you enjoy champagne, fruit juice or a glass of water you will always be in need of a proper glass. Why not use a creative marketing tool to do this? This creative and versatile design can be used for many different beverages, mainly aimed at water, cognac, wine and champagne. 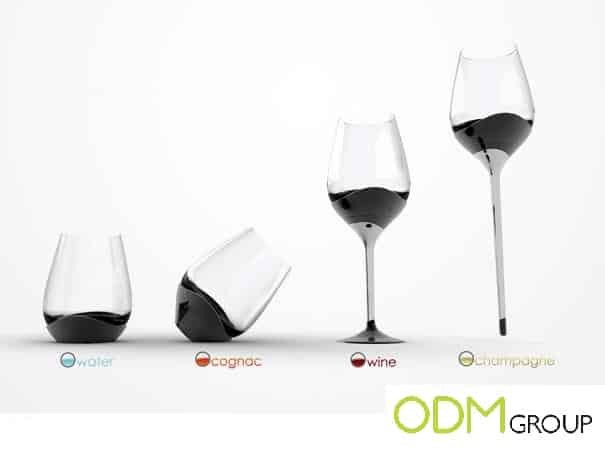 Each glass has repetitive aesthetics which are sleek and modern. 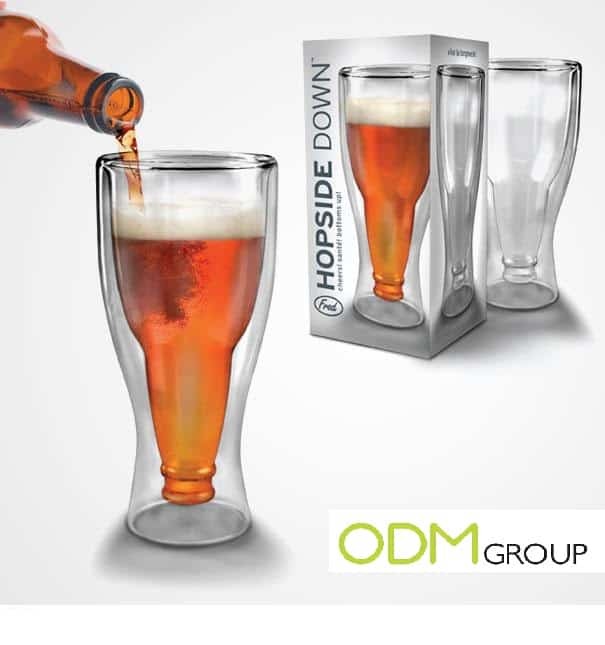 The shape is not restrictive to further adaptations, what stops this type of glass also becoming available for beer? Bombay Saphire uses this unique glass with represents the brand identity. 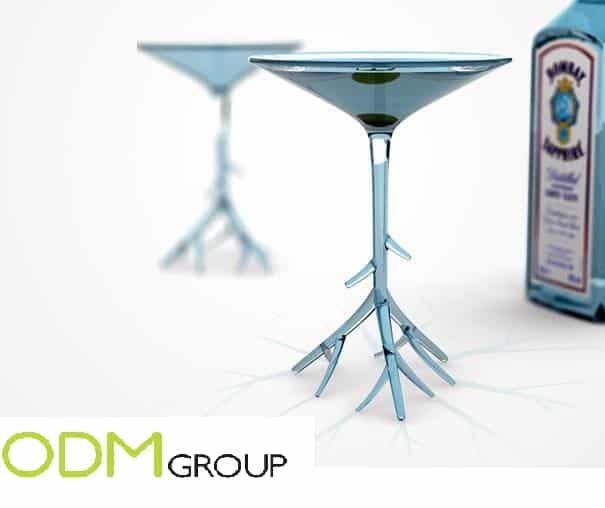 Hand blown and shaped, this particular martini glass explodes with personality of the Bombay Saphire taste. This a great way of promoting the positive things! Fred and Friends offer this HALF FULL tumbler glass which reminds you that where the glass is Half Full you’ll always find refreshment. The cup is permanently marked so when the cup is filled you are reminded to keep positive! Fred and Friends also have this beer glass within the same range. This is a clever idea playing on he beer bottle being place upside down in the shape of the tumbler. What makes a tumbler or a glass great marketing gifts? This are great marketing gifts ideas for your brand. The beverage industry has become highly competitive so promotional products and marketing gifts are a great way to capture the interest of your consumers within a reasonable budget. Our sister company Mindsparkz have over 30 years of combined experience in the design industry and promotional products. Why wait? Hurry and contact Mindsparkz today to discuss your brand identity to create the perfect tumbler for you.